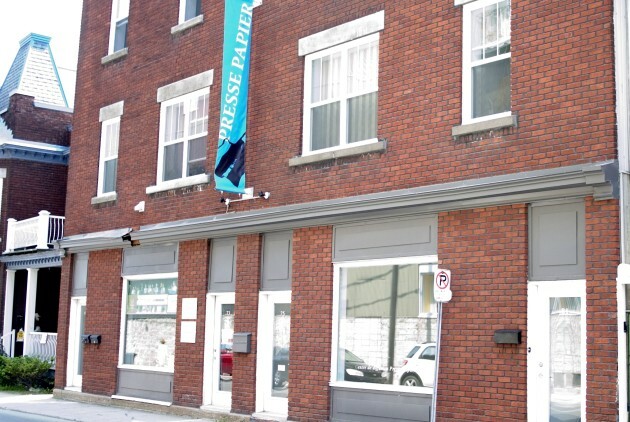 Accueil » Atelier Presse Papier Inc.
Open: Tuesday to Friday, from 10 a.m. to 4 p.m. Saturday and Sunday, from 2 p.m. to 5 p.m.
Presse Papier, a self-administered artists centre for contemporary printmaking. Located in the City of Trois-Rivières, by the St-Lawrence River, the workshop provides artists with a place to carry out research, create and display their work. The organization is renowned for the quality of its members work as well as its professionalism. Presse Papier international exhibition has provided a showcase for major projects by artists from here and from abroad.